Principles of Disaster Mitigation in Health Facilities is an updated compilation of a number of documents that address this issue and have been published by PAHO. 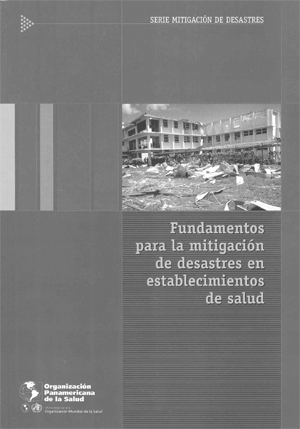 Some of the previous sections and chapters have been summarized and revised from a multidisciplinary perspective, and more graphic resources have been included to illustrate both concepts and situations that increase the level of vulnerability of health facilities in the event of natural disasters. Examples of Latin American countries, regarding vulnerability assessments and the application of specific mitigation measures in hospitals have also been included. This book is a tool that provides the basis for conducting vulnerability assessments and it primarily shows how to apply practical mitigation measures in hospitals regarding structural and non-structural aspects, as well as their administrative and internal organization. The document is intended for various groups, especially those involved in the planning, operation and provision of health services. It does not attempt to thoroughly cover aspects included in other more specialized and technical books. In particular, the book focuses on issues related to seismic events.